I would just like to say how priceless your ActiveCare® Cover has proved to be to us over the winter period. We have had damp issues in our rental property and have had quite a lot of costly building and repair works undertaken to remedy the situation. On completion of these works, to our joy the damp issues have ceased but the house needed to dry out, and with the wet weather we have been experiencing, and the fact that the heating system didn’t seem to be running at the correct temperature, this was proving tough. On your recommendation, we had a heating system pressure test completed to see if there was a leak anywhere and they discovered there was a minor leak in the boiler itself. As we had taken out ActiveCare® Cover your engineer was able to come out and fix the leak as part of our agreement but not only that, he advised our tenant on the most effective way to use the heating system. The heating is now running at full pressure and the house is at last dry. Great service from ActiveCare® with an engineer on site within 24 hours with brilliant customer service from your engineer. It’s a real weight off our minds knowing this issue is finally put to bed. I took out ActiveCare® cover when I rented out my property. It gives me peace of mind to know that any problems with the heating system will be swiftly and professionally dealt with. I have had a couple of boiler breakdowns since being with ActiveCare®. Typically, these things always happen when the weather is at its coldest with an older boiler. They have been fantastic in responding very quickly and getting the problem solved, very quickly. I would recommend them completely. A friendly and reliable service available at short notice when you need them most. Regent Lettings are always very pleased with Active Heating’s honest, professional service and their in-depth knowledge of all matters relating to plumbing and heating is second to none! Active really do go the extra mile to ensure that their customer receives the best service at all times. Many thanks and for the great work your man did today. A great asset to Active Heating I think.He was very thorough and hopefully his work will make a big difference to our central heating system both in efficiency and hopefully in much reduced or totally eliminated noises! Full marks to Active Heating. Always happy to recommend you. I am writing to thank you for the excellent service we received from you after our gas boiler broke down over Christmas. I think it was above the call of duty that you were on site within 2 hours of my wife phoning on Christmas Eve and again able to fully diagnose the issue on Boxing day after it broke again, ordering the needed parts and fitting them by the 28th December (as soon as supplies allowed). I will be recommending your ActiveCare® service scheme to our friends and neighbours. Thanks again.! I have only had one service since I joined ActiveCare® last year. The engineer was very thorough taking considerably longer than my previous maintenance company. I have also had one problem, a leaking valve. The engineer came to fix it in less than 24 hours but had to order parts. He did a temporary fix and came back and finished the job in less than two days. He even found and fixed a second leak that I was unaware of. I am very happy with the value they provide. We joined the ActiveCare® Heating Scheme over a year ago and they provide a professional and reliable service. It has been so easy dealing with a local company, I am not asked wait in between the hours of 8am and 6pm for an engineer, they arrive at a time that suits me. I feel the cost of the scheme is excellent value and gives me peace of mind. We joined ActiveCare® after moving in to a house with a 10 year old boiler and decided on peace of mind. We get regular servicing and emergency break down included. We recently had the copper tank in the airing cupboard spring a leak and Active Care had us sorted out quickly. Great service and recommend to anyone. Call our Office, we don’t use call centres, and we would love to tell you more. 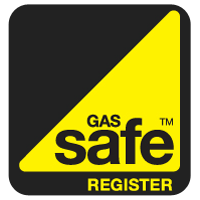 and Regulations governing gas safety.